Introducing our *BRAND NEW* Crop Top, available NOW! The Healthy Mummy crop top is SUPER comfortable and very SUPPORTIVE. The crop comes in Healthy Mummy Pink and has a logo on the front left and centre back. 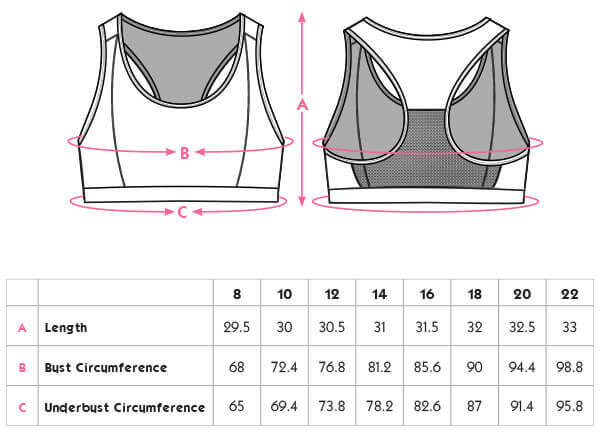 The highly supportive sports bra will keep your bouncing in check. 85% of women who use the lotion experience a reduction in cellulite! A lightweight lotion that stimulates skin cells and reduces cellulite. When used regularly, the nutritional actives of Artichoke and Avocado work together to help enhance skin firmness and reduce the appearance of stretch marks. These amazing ingredients also moisturise and hydrate your skin. How can our Body Sculpting Lotion help you? Studies have shown that the unique ingredients in the Body Sculpting Lotion reduce the colour, length and overall appearance of stretch marks. Australian Kakadu Plum has antioxidant and anti-inflammatory properties that helps toheal damaged skin. The active ingredients provide a tightening film on the skin and can help toreduce loose skin. Loose skin can occur after pregnancy or weight loss. The lotion visibly and measurably refines the silhouette and when used regularly leads to a slimmer abdomen. The lotion contains unique ingredients which reduce cellulite and the orange peel appearance. The unique ingredients cause the exiting fat to fragment into fat globules and decompose. Our Healthy Mummy protein is an AWESOME source of high-quality whey protein with over 26g of protein per serve. Simply mix 30g of Chocolate Protein Powder with water, it’s super easy to make. The powder is also ideal for adding into smoothies for an extra protein hit and is great for baking with too. 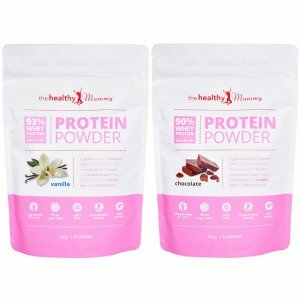 The Healthy Mummy has launched their new protein powders that are in two popular flavours of chocolate and vanilla. Having vanilla as one of the favours, it can be blended with fruit to add to your favourite smoothie. 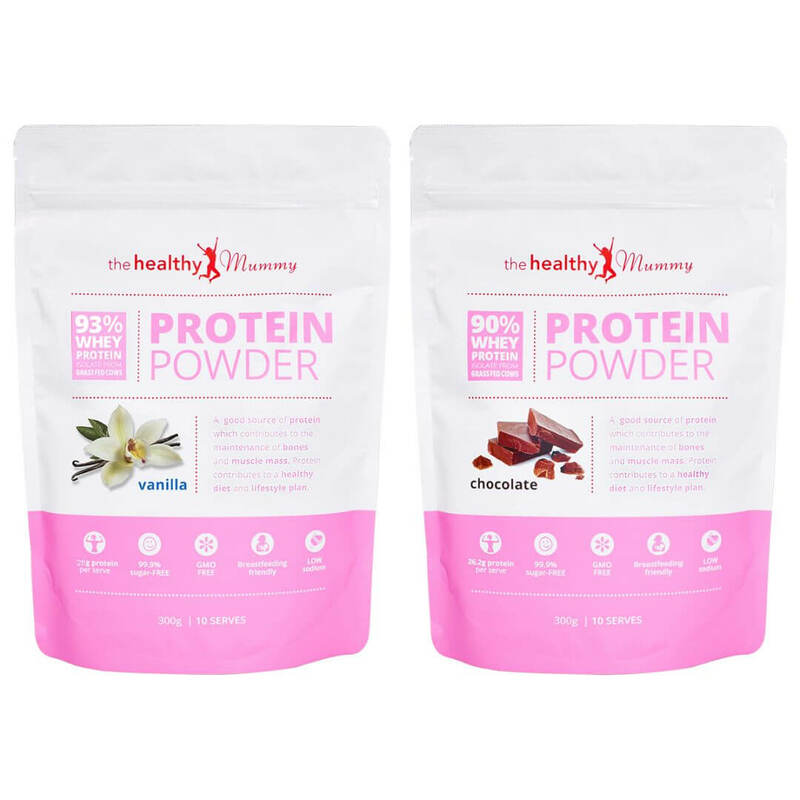 These protein powders contain a great source of whey protein up to 93% from grass fed cows. It is absorbed quickly in comparison to other proteins. With fast absorption whey is also rich in branched chain amino acids (BCAAs). These amino acids are made up of three essential amino acids Leucine, Isoleucine, and Valine. These are essential because the body is unable to make them out of other amino acids, therefore they must be consumed from food or supplements. Another great benefit of BCAAs is if you take time off from training for whatever reason, increasing your intake of them minimises muscle loss and preserves lean tissue and will keep your metabolism up. This will prevent fat gain when inactive. These powders are incredibly low in sugar due to the use of Thaumatin, it is a natural protein extract that is 2000 times more sweeter than sugar with only 4 calories per gram, makes it the highest natural sweetener ever! The Healthy Mummy Protein powder range is an excellent source of protein, whether you are using it for exercise recovery, to mix with fruit for breakfast, or as a tasty treat in between meals. Grass fed whey is a personal favourite ingredient of mine, as it is shown to be significantly higher in nutritional value compared to grain-fed. Cows that are on a grass fed diet are able to have a more stable pH level which allows them to provide beneficial bacteria as well as a broader nutritional content. The sweeteners used in this product are generally well received and don’t cause the unwanted side affects that others may do. If you are looking for a quality protein powder then I highly recommend The Healthy Mummy brand. Whey protein isolate (WPI) has a high protein concentration (approximately 90-95%).The process separates protein from fat and lactose resulting in a purer form of whey protein which has less fat and lactose. Is the Chocolate Protein Powder Gluten Free? We do not guarantee the Chocolate Protein powder is 100% gluten free. Although products containing gluten are not added, the protein powders are manufactured in a factory which handles grains containing gluten and some cross contamination may occur. How many serves of the Chocolate Protein powder can I have in one day? One serve per day is all that you need. The recommended intake of protein is 50g per day. Each serve contains 26.2g of protein when mixed with water, which is more than half (52%) of your daily recommended protein intake. For more FAQ’s on Chocolate Protein Powder, please click here. Available Flavours: Chocolate, Vanilla, Caramel, Coffee, Choc-Mint, Banana, Strawberry, Cookies & Cream, Salted Caramel and Raspberry Ripple . 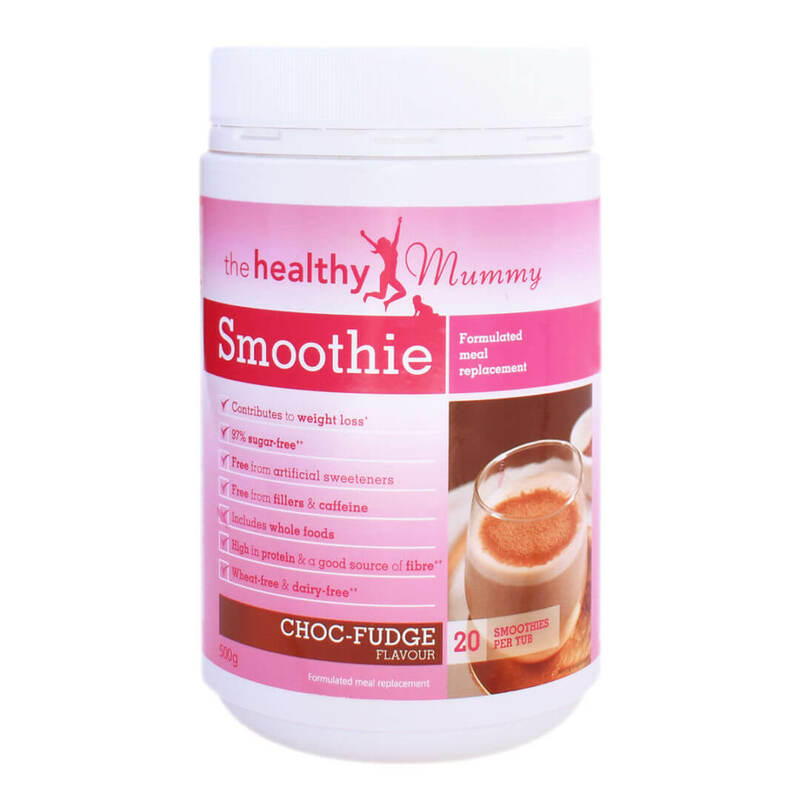 Our meal-replacement Healthy Mummy Smoothies, have been formulated by leading nutritionists to be the perfect companion to a busy mum’s life when trying to lose weight. And they’re breastfeeding-friendly! Get our Pregnancy Smoothie factsheet.